The woodchuck we caught was a lot cuter than I expected. He looked and acted like he was trying out for a part in Wind in the Willows. Last spring Havahart®, the manufacturer of live animal traps, contacted me regarding a potential product review. Their representative expressed an interest in having a review appear on my blog because I advocate gardening organically. He thought my customers would be interested in their humane traps and other products. Havahart® would send me any of their products for free, and I could try it out and say anything I wanted about it. Never one to go half way, my husband baited the trap with a whole cabbage. 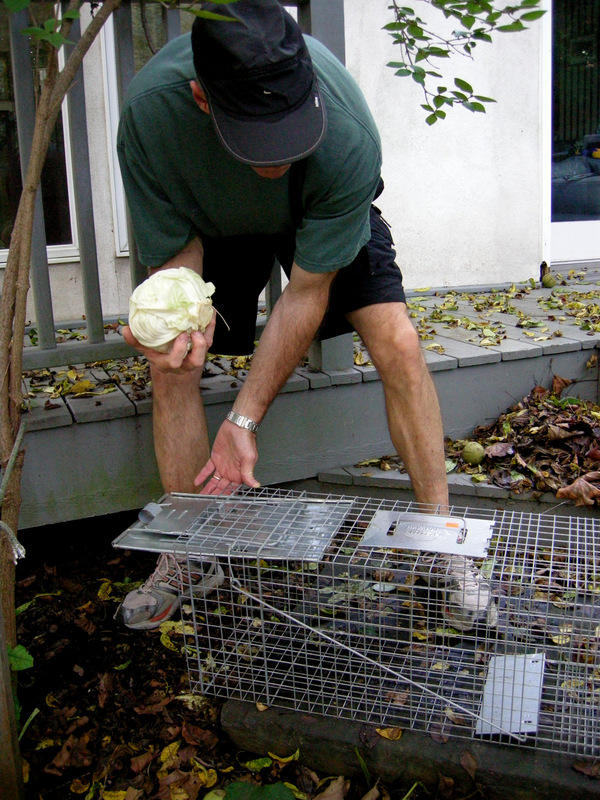 We had previously used small Havahart® traps to catch and release chipmunks, which were tearing down our 10 foot stone walls with their tunnels. We were very pleased with the results, but our current cat has the chipmunk problem well under control. 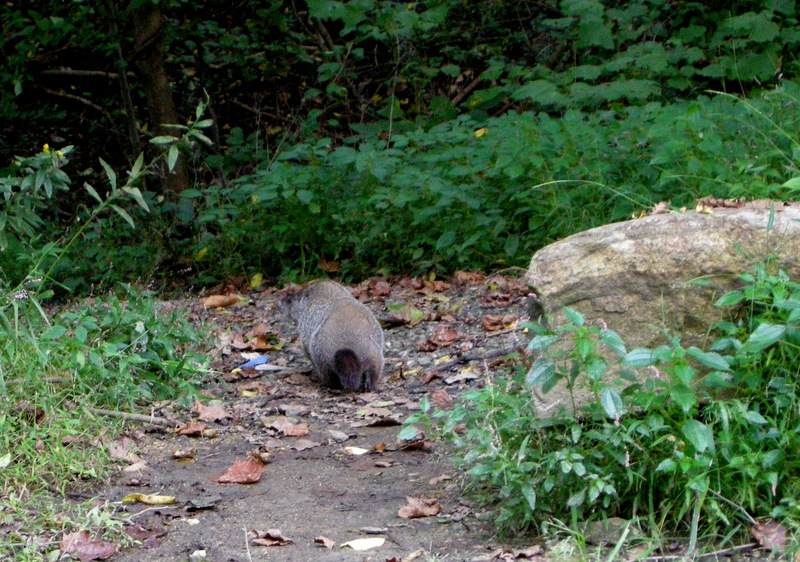 Now we were being plagued by a woodchuck (AKA groundhog)—the most persistent animal pest I know. 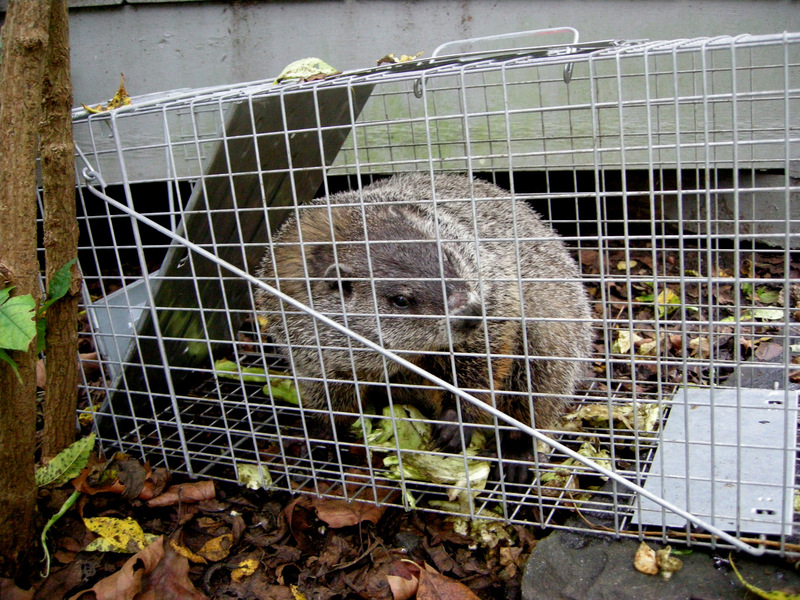 For the review, we chose the Havahart® One-Door Groundhog & Raccoon Trap. The trap is set with the door open and the cabbage behind the trigger pad. 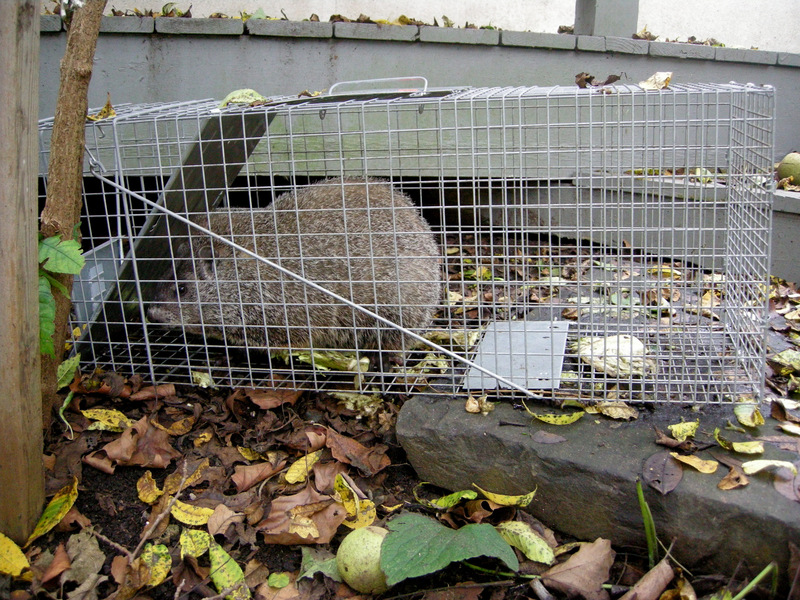 Our current woodchuck was living under our deck so we placed the trap near his entrance and exit hole. The trap door is held open by a trigger rod attached to a trigger pad and snaps shut when the woodchuck presses the tilted trigger pad on his way to the bait. 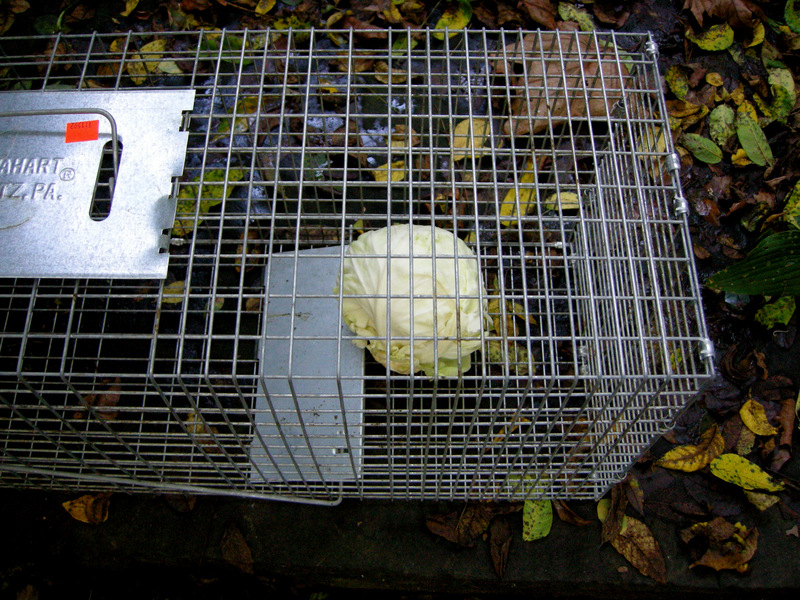 We didn’t have to wait long—two days later a sad little face greeted me when I checked the trap. I expected a vicious varmint, and what I got was Beatrix Potter’s Mrs. Tiggy-Winkle. You will notice that he ate the whole cabbage. I felt so sorry for the little guy that we decided an immediate transport and release was necessary. It was easy to carry the cage to our van and place it on a tarp in the back. The woodchuck remained passive during this ordeal. As recommended by Havahart®, we drove to “an isolated location five to ten miles away,” insuring that the woodchuck would not return to our property. 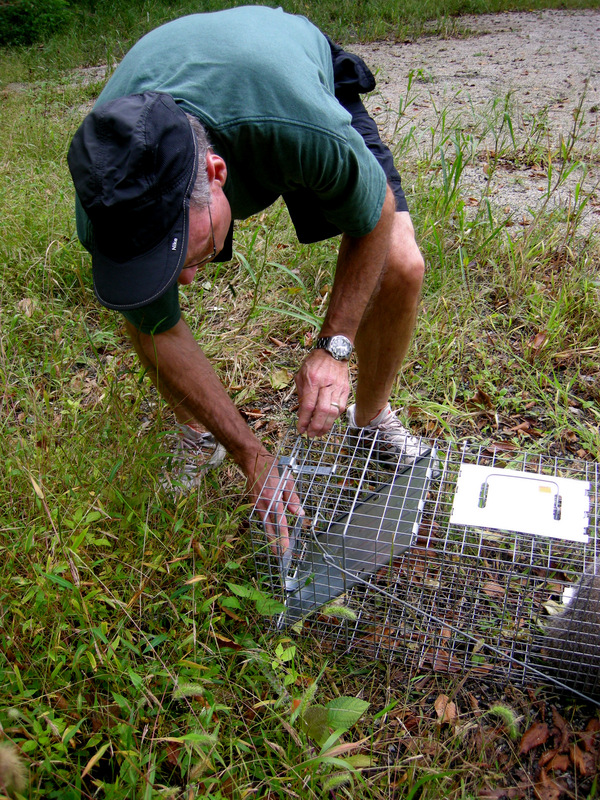 We stopped the car, unloaded the trap, and prepared to release our little friend—that was when the fun began. The fat little woodchuck sat firmly on the trigger pad preventing the door from being released into the open position. 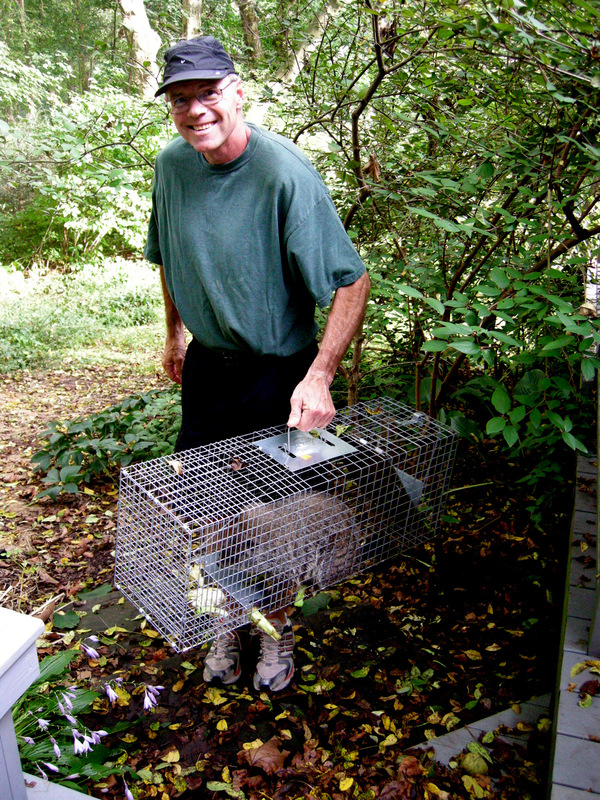 Even when my husband manually opened the door and held it open, the woodchuck would not leave the trap. 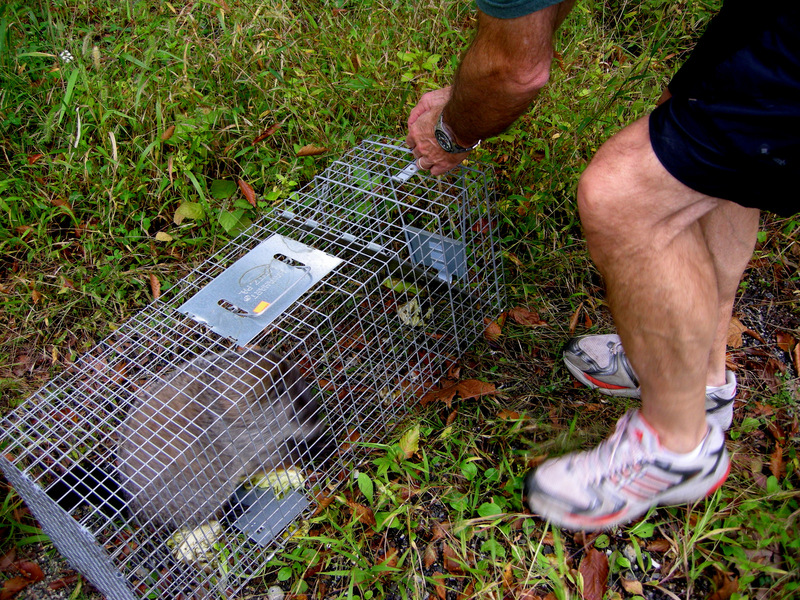 While my husband holds the trap open, the woodchuck resolutely faces the back of the cage refusing to vacate his new found home. Thanks to my customer, Ben Hayward, for pointing out that my husband should not have had his fingers near the cage opening without wearing protective gloves. See my reply to Ben’s comment about why the gloves didn’t make the trip. I wish I had a video of what happened next because it would be hysterical. Without warning me, my husband picked up the whole trap, tipped it perpendicular to the ground, and shook the woodchuck out right at my feet. If only I could say that I stood my ground like a brave photographer, risking an angry woodchuck to get THE photo. But instead I turned and ran for the car as fast as I could, convinced that the woodchuck would climb the nearest upright object, which was me. I regained my senses just in time to get this photo of the little woodchuck fleeing for the hinterlands. 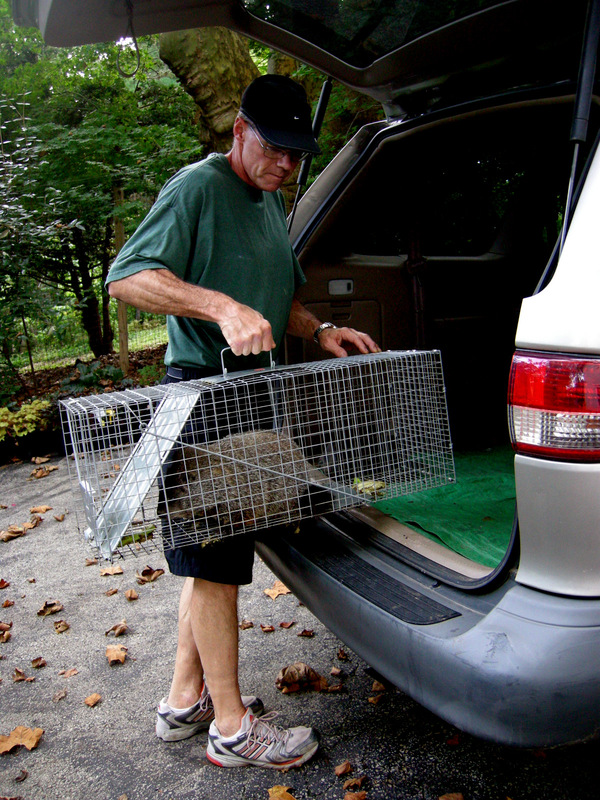 Overall I think Havahart® traps are very useful for humanely removing unwanted animals from your property. And upon reading the manual to write this article, it does recommend inserting a stick through the cage to prop the door open. That would have solved the problem with our unusually passive and docile woodchuck who seemed happy to live in the trap indefinitely as long as we fed him cabbage. However, I do not think I would want to get my hands that close to the cage (see photos above) with a more aggressive animal inside it.